Film4 is a British digital television channel available in the United Kingdom, owned and operated by Channel Four Television Corporation, that screens films. It offers films in standard definition free of charge. To access the high definition version of the channel, viewers must have a paid subscription with Virgin Media or Sky. The channel is also available in the Republic of Ireland on Virgin Media Ireland, Sky Ireland and Eir Vision and in Switzerland on UPC Cablecom and Swisscom. 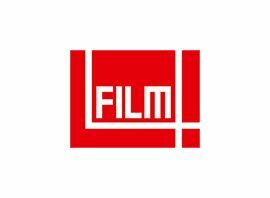 Film4 was started in 1982 as Film4 Productions, a film production company owned by Channel Four Television Corporation and has been responsible for backing a large number of films made in the United Kingdom, and around the world. The company´s first production was Walter, directed by Stephen Frears, which was released in 1982. In 1998, the outfit was re-branded as FilmFour, to coincide with the launch of a new Digital TV channel of the same name. Film4 was originally known as FilmFour and became Channel 4´s second channel (after Channel 4 itself). It was a subscription-only service available on satellite television via the Sky platform, digital terrestrial via ITV Digital (until the platform went into administration in 2002), and most UK cable services. It cost £5.99 a month, eventually rising to up to £7. The launch night, which was also broadcast on Channel 4, was hosted by Johnny Vaughan and the first film to be shown was What´s Eating Gilbert Grape. Wherever possible, films are shown in their correct aspect ratio. No DOGs are superimposed. Under UK broadcasting rules, it was able to screen most films unedited and in earlier timeslots when it was a subscription channel, but these concessions were lost when it became free-to-air, and more adult material is now shown only after the 9pm watershed. Some films are now edited to make them suitable for pre-watershed screenings, a decision which was criticised by viewers on the channel´s now defunct internet forum.